When my little guy first started biking with us (at 12 months), he immediately noticed that everybody else had bike gloves on and HE DIDN’T. After letting him wear my gloves for a ride or two, we went on the hunt to find him a pair of little gloves that fit him. At that point in time, he obviously didn’t NEED gloves, but they did help make biking with the family fun for him. And now that he’s older and riding his own bike, gloves have saved his little palms from getting scraped up more than a time or two. 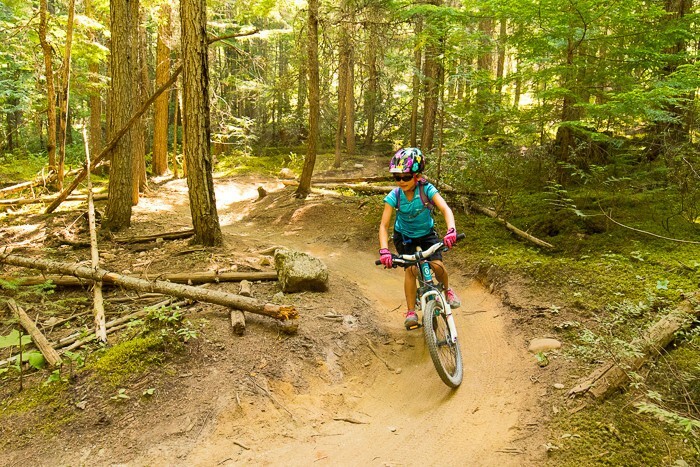 If you are in the market for new bike gloves for your kiddo, consider one of these choices. 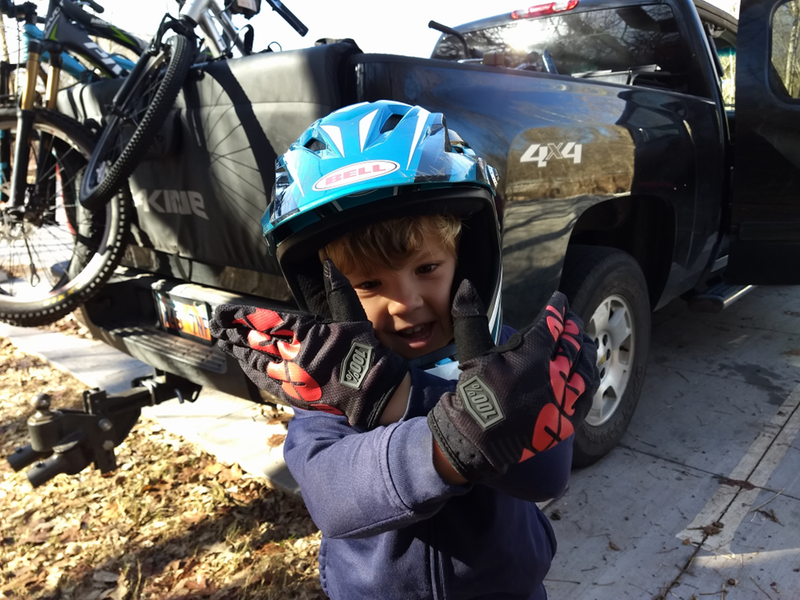 I’ve rounded up my favorite kids’ bike gloves for ages 1 to 12, and grouped them into half-finger gloves and full-finger gloves. All are fun, affordable, and practical. But why should I buy my child bike gloves? Safety. 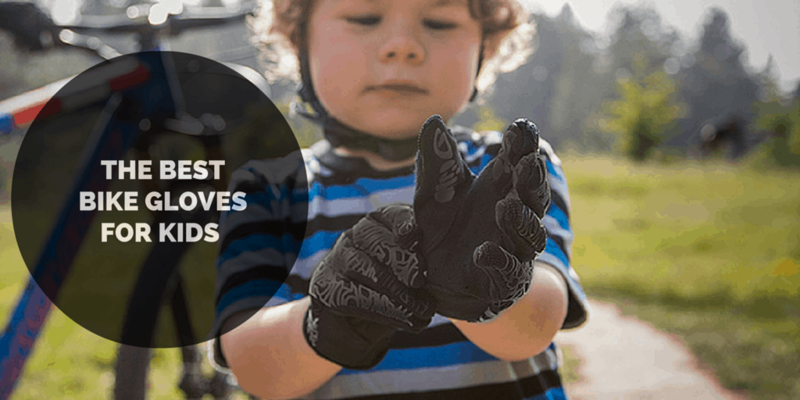 Bike gloves protect little hands in the event of a fall or crash. Many tears and skinned palms can be avoided by wearing a bike glove. If you’ve ever picked gravel out of a child’s hand, you know what I’m talking about. Grip. For toddlers and real young kids, this probably doesn’t matter so much. Once kids start riding harder and farther, however, a bike glove can be useful for providing grip. Sweaty little hands can slip off bars if they are bare. Fun. For under $20, gloves can go a long way towards making a child excited to bike. Even for toddlers who are riding in a bike seat or trailer, bike gloves can make the experience more fun. Does your one year-old NEED bike gloves? Probably not. But when my then 12-month old started asking to wear my bike gloves, I figured we should get him some of his own. 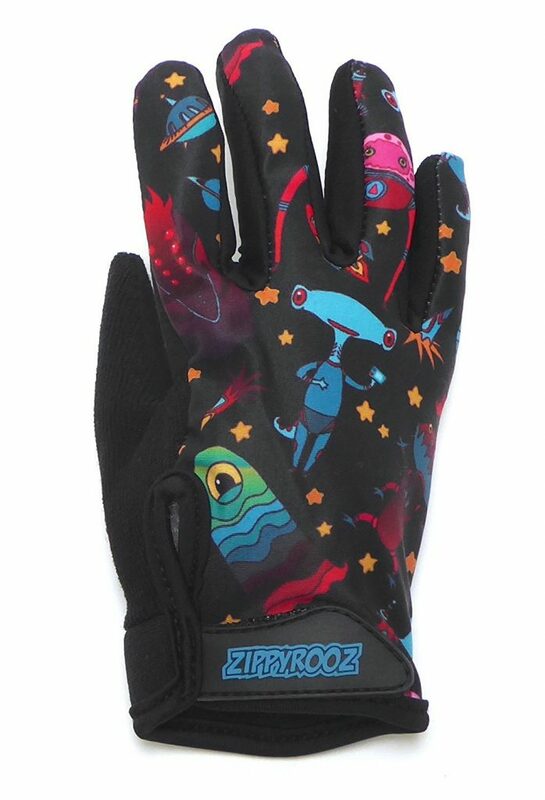 The ZippyRooz are some of the only bike gloves that will fit kids this young. They also come in cute designs, and have pull loops to help kids take them off. Three sizes fit kiddos ages 1-6. For more info, read my full review of the ZippyRooz. ATD is one of our favorite companies for decent kids cycling clothes at an affordable price. And like their clothing, their gloves don’t disappoint. The ATD half-finger gloves come in a variety of colors and have a reflective safety strip. 4 sizes fit kiddos between 1-10. If you are looking for a simple, classic half-finger bike glove, opt for the Jr. Ride. 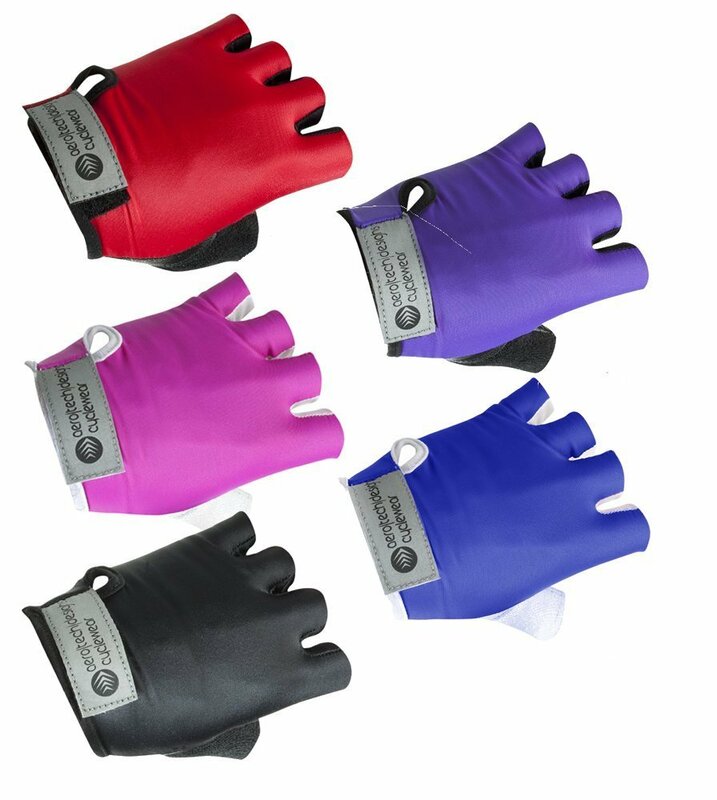 These cycling gloves come in multiple colors. The well-padded palm offers protection in the event of a crash. Four sizes fit kids ages 6-13. 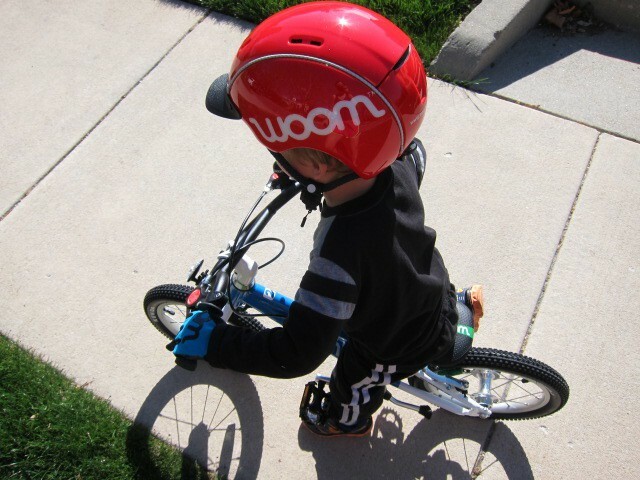 If your kiddo is already rocking a Giro helmet, these gloves match! The wide opening and Velcro strap make it possible for kids to get these on all by themselves. 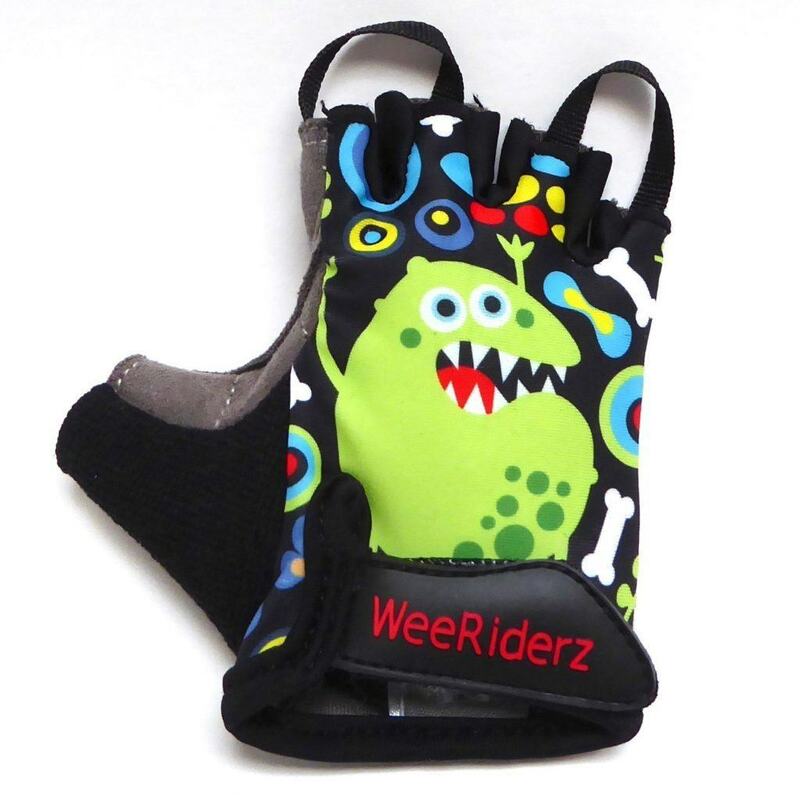 Four sizes fit riders ages 4-12. When my son got his new Woom 2, he also got these rad Woom gloves. 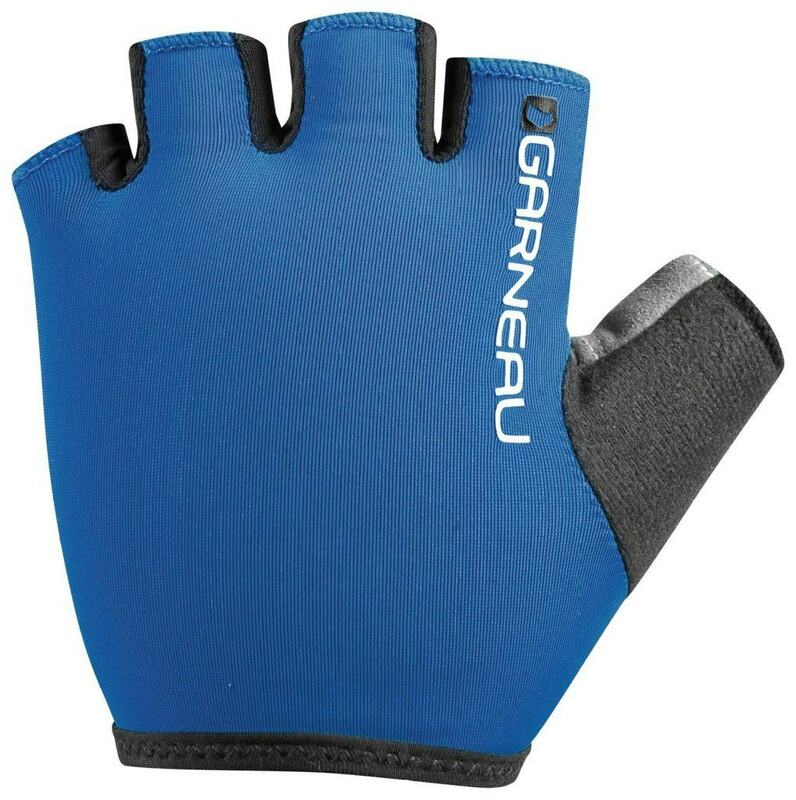 The full-finger design and bright color make them feel like grown-up mountain bike gloves. The size small is a bit large for my 3 year old, but he loves them nonetheless. Four sizes fit a wide range of ages—see the printable size chart on the Woom website. Yup, ZippyRooz makes both half-finger AND full-finger gloves. We particularly love the full-finger version. They are soft, comfortable, and offer lots of protection. They also fit teeny-tiny hands, and it is hard to find full-finger gloves that do that. For more information, read our detailed review of the ZippyRooz gloves. If you’re looking for a REAL mountain bike glove for your little ripper, look no further than the 100% iTrack. It’s sort of pricey for a kids bike glove, but it offers excellent protection for little hands and it also has the coolness factor. These are minimalistic gloves so work great for riding in hot weather. To learn more, read our full review of the 100% iTrack. If you have a child that is either going big at the bike park or is extra crash prone, the Fox Dirtpaw should be your top pick. These are heavy-duty gloves with extra protection on the palms and knuckles. 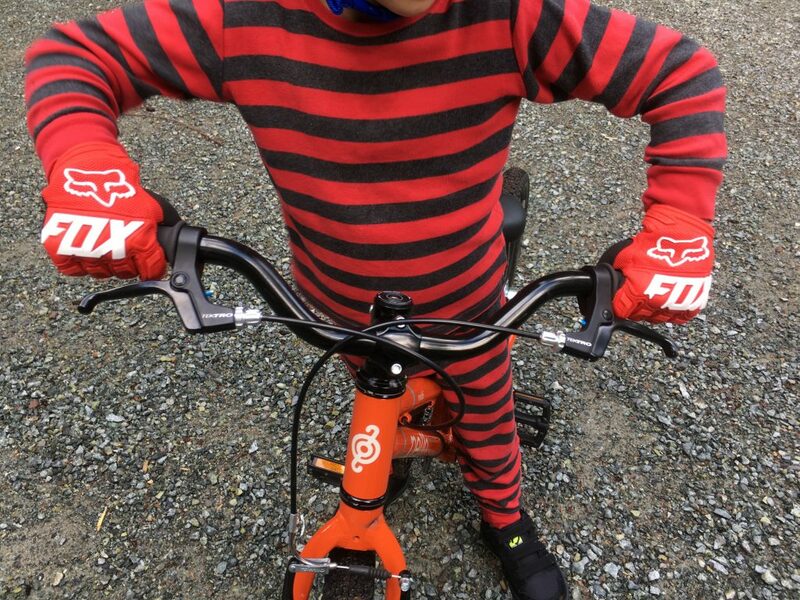 The Dirtpaw gloves are what we put on our son for lift-assist days at the bike park and for serious trail rides. They are thicker and warmer than most the gloves on this list, so they also work well for cooler weather riding. To learn more, read our full review of the Fox Dirtpaw gloves. Need help choosing the right pair for your child? The comparison chart below should help. I never always ride with full-finger gloves. I got them and in my opinion they are the best MTB gloves on the market right now,they offer good protection. but i wanted More protection, so i got the index DH.